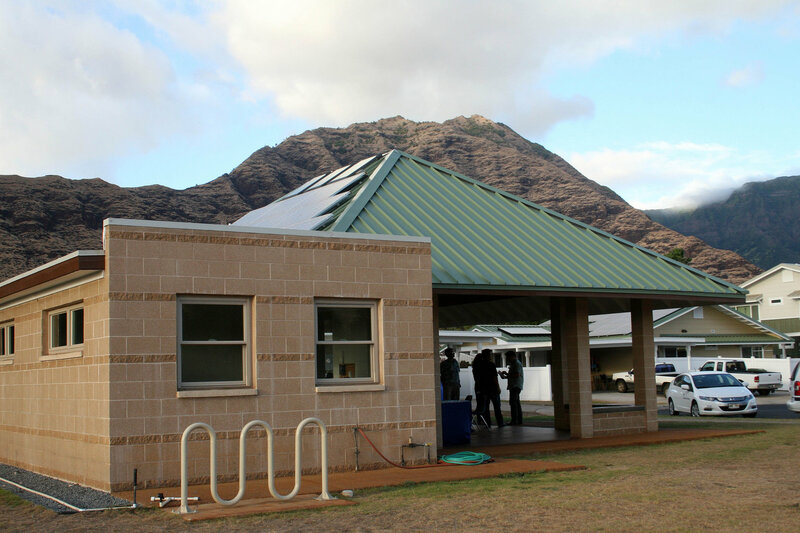 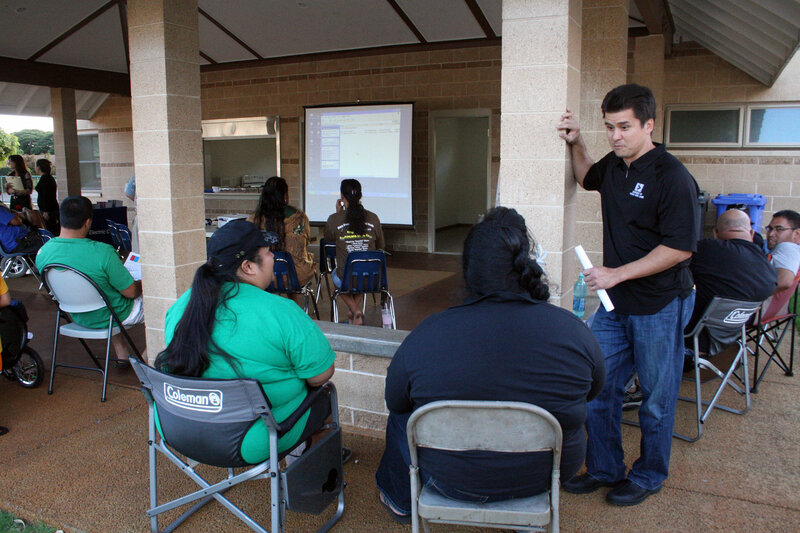 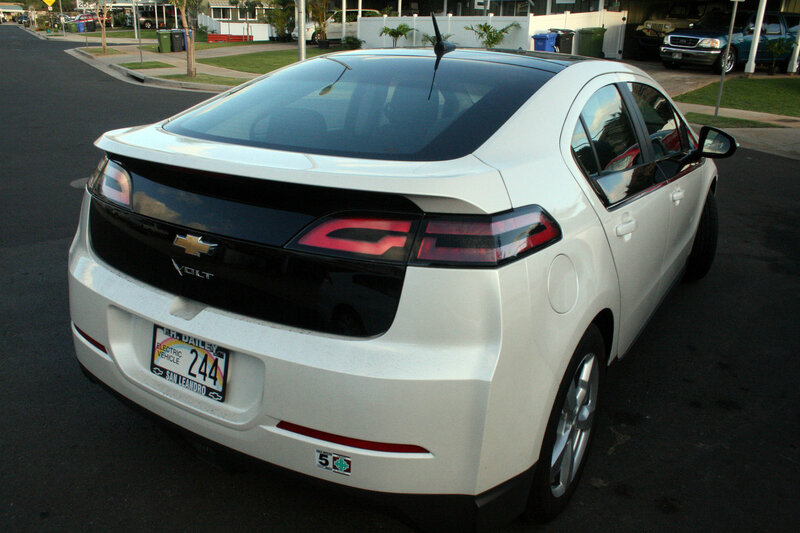 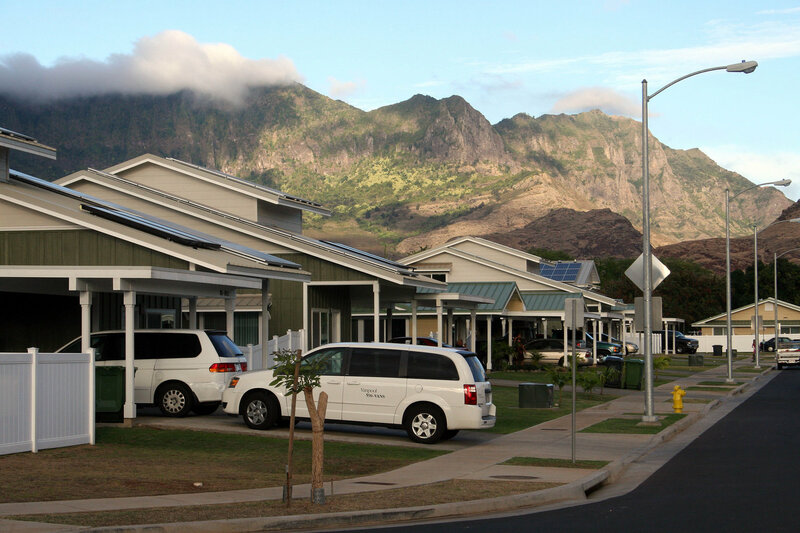 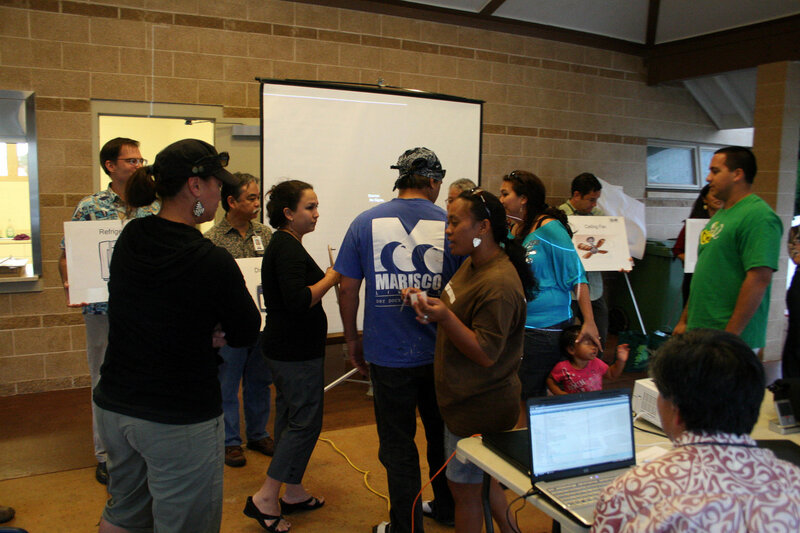 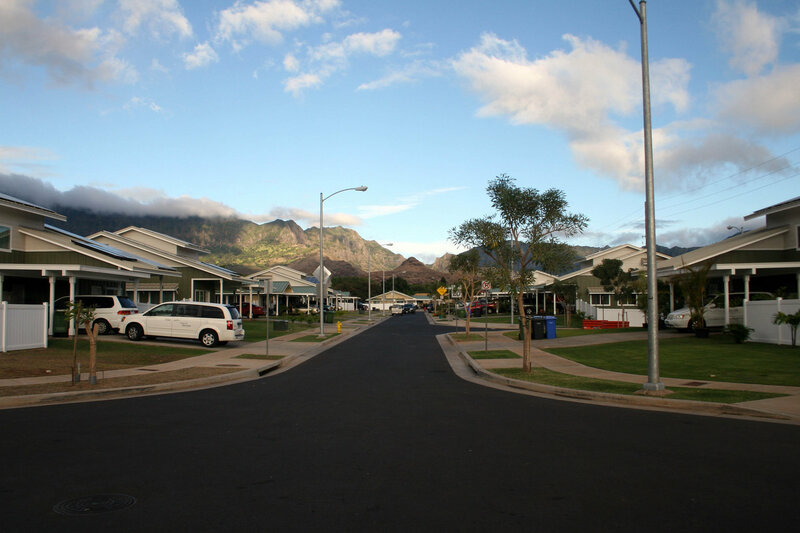 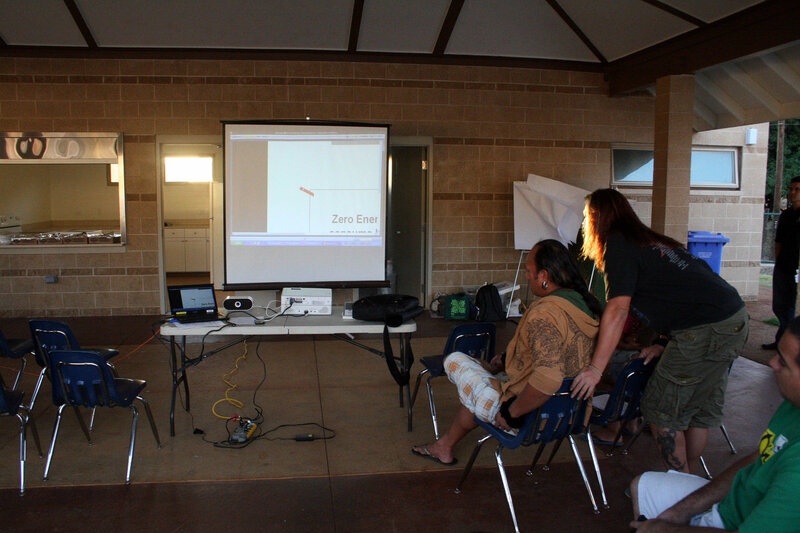 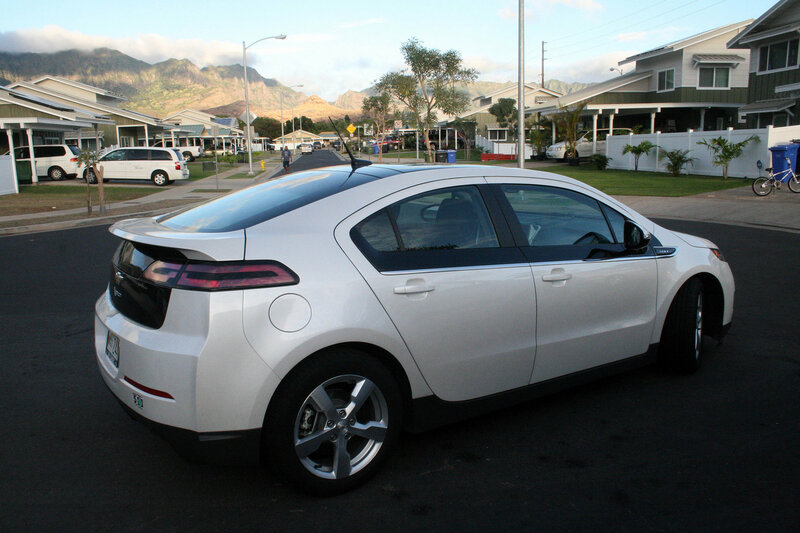 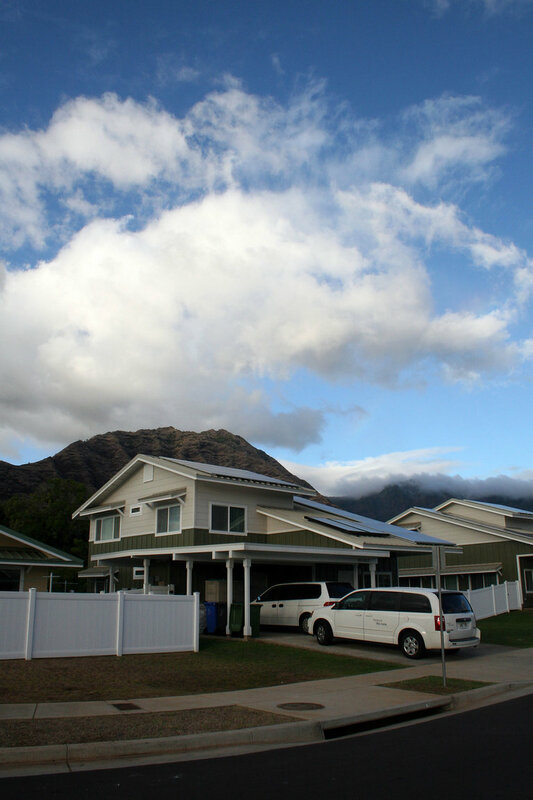 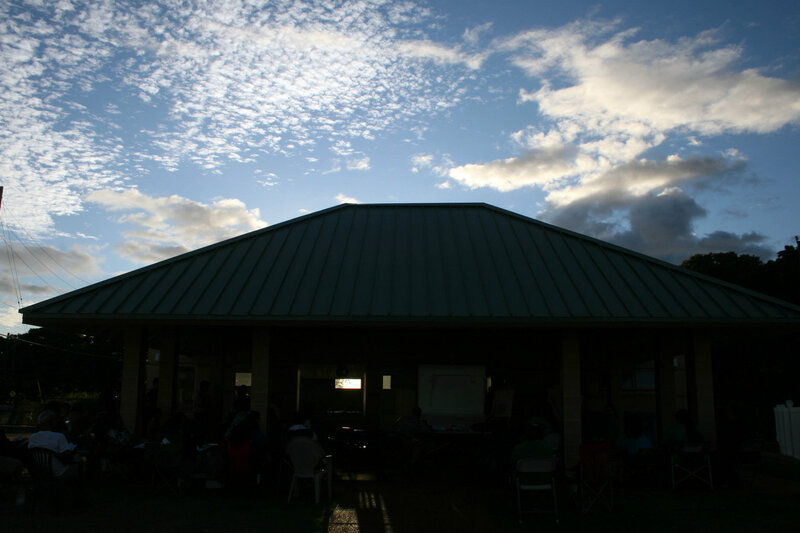 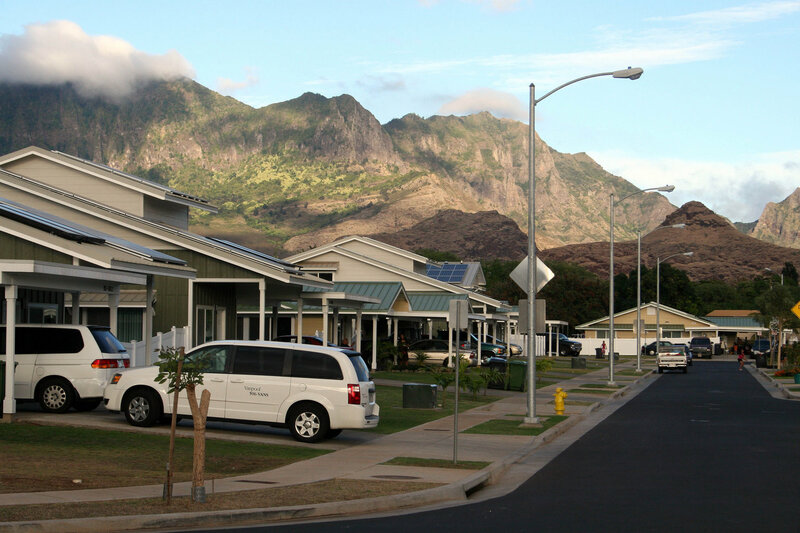 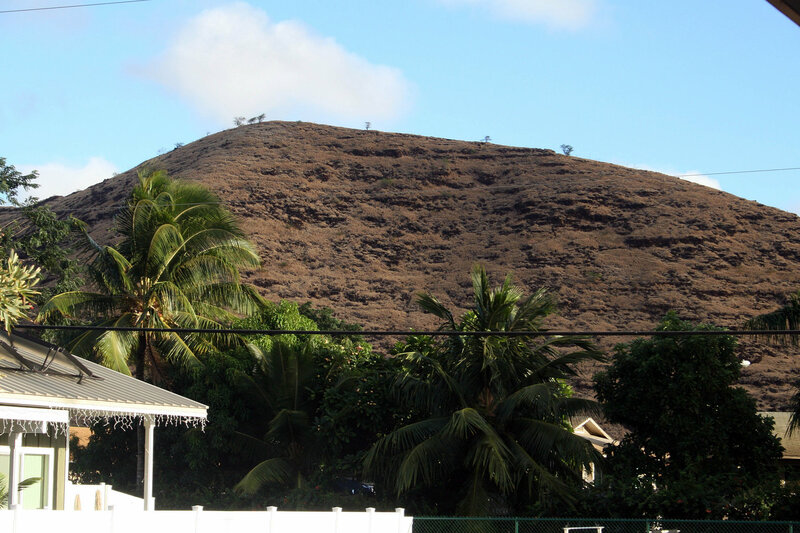 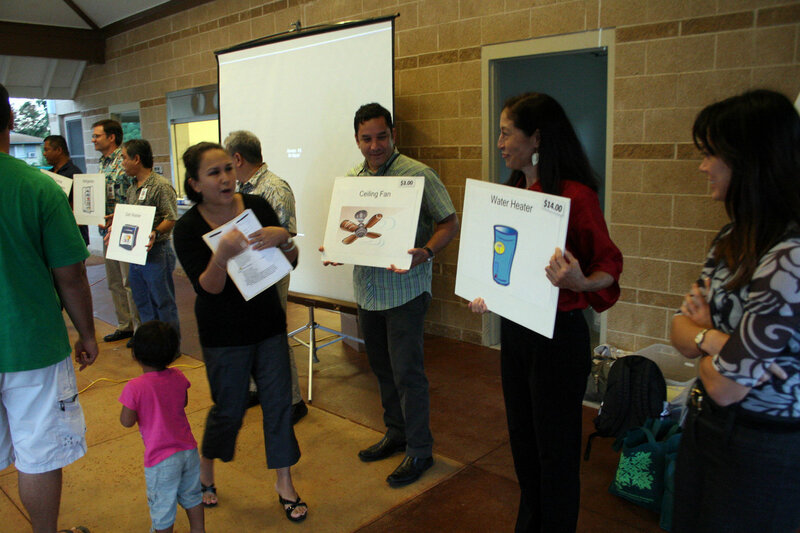 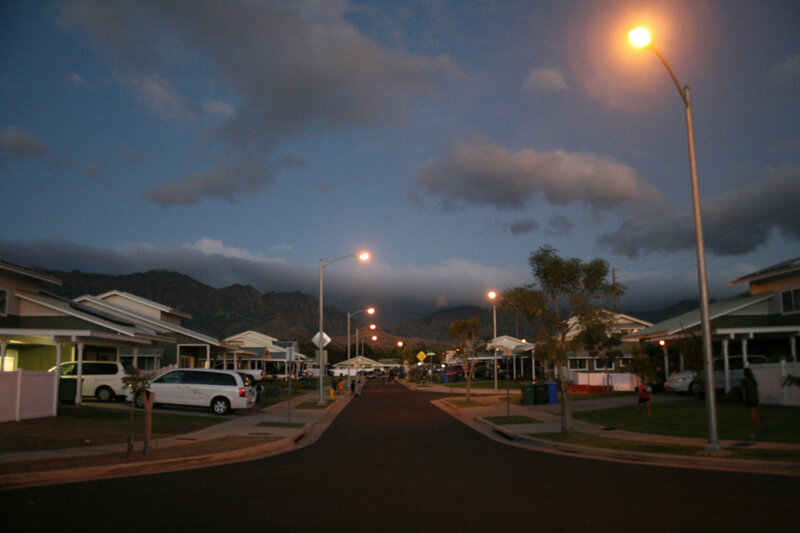 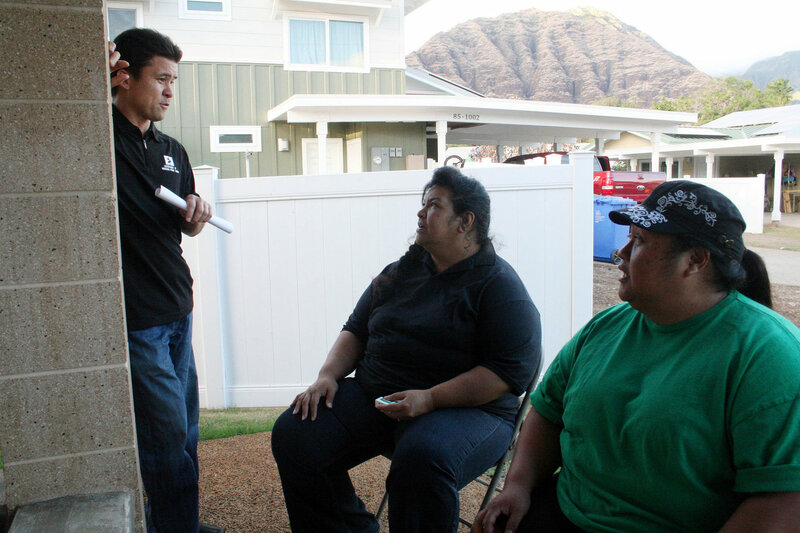 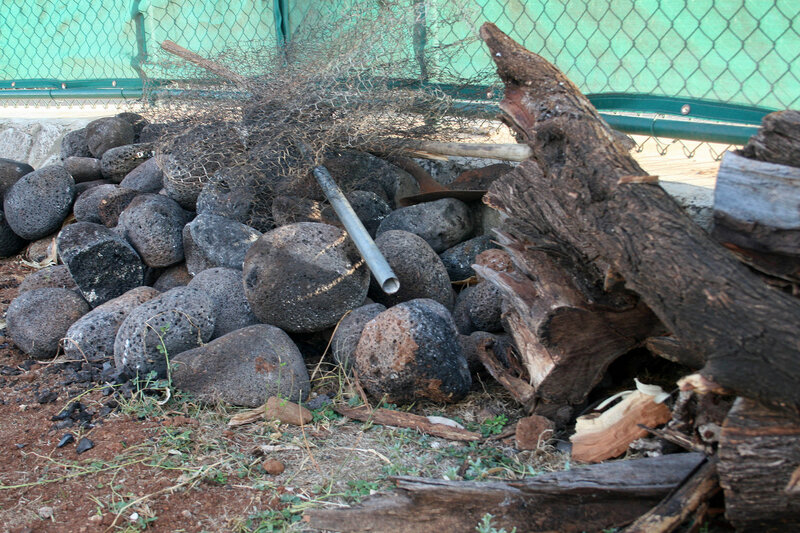 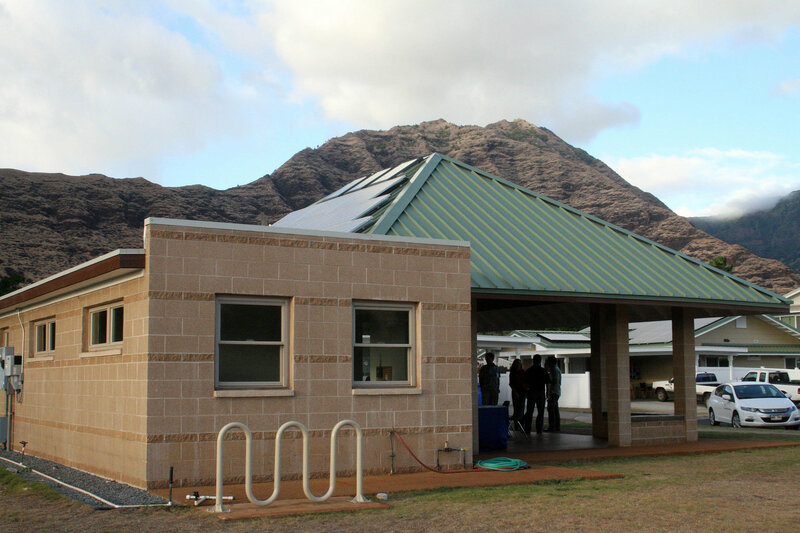 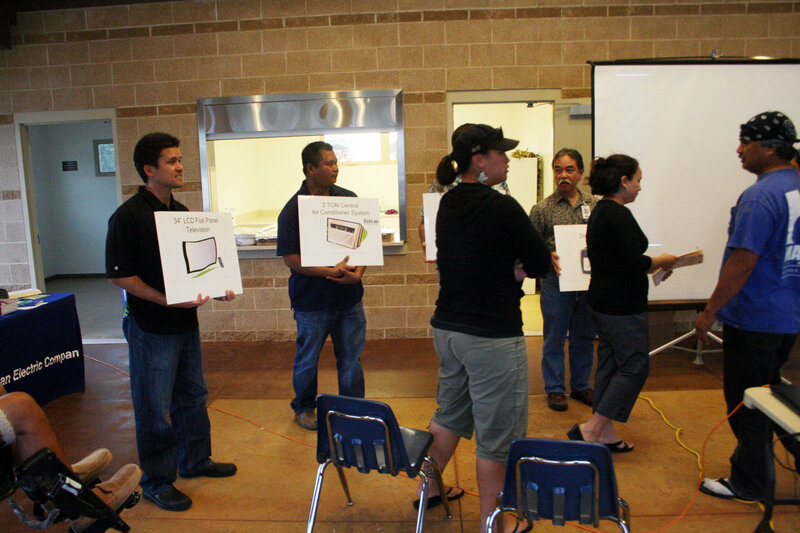 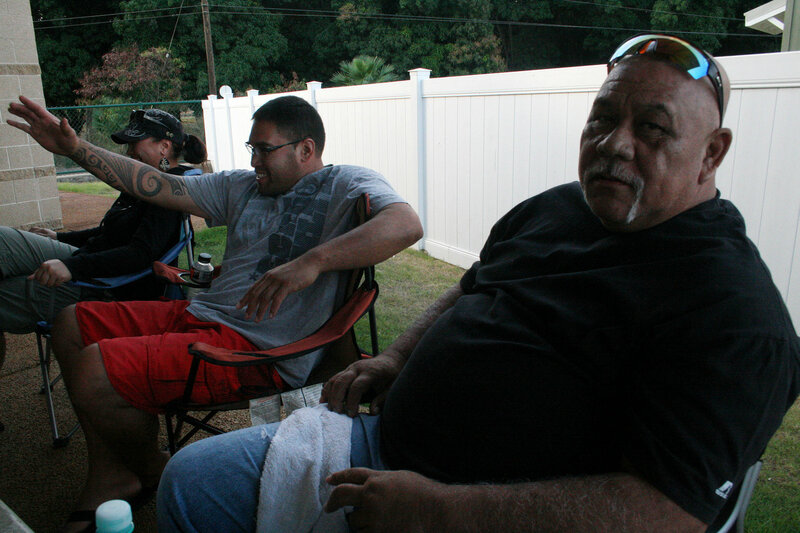 Kaupuni residents try to match energy cost associated with household appliances. 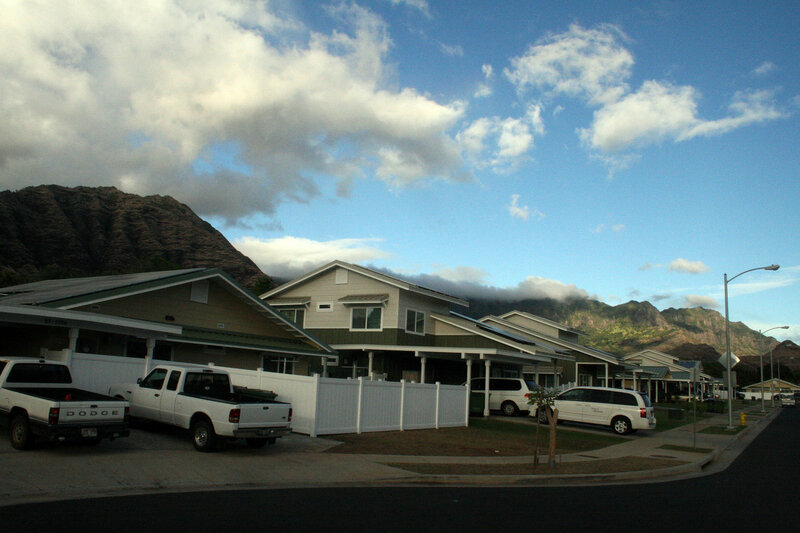 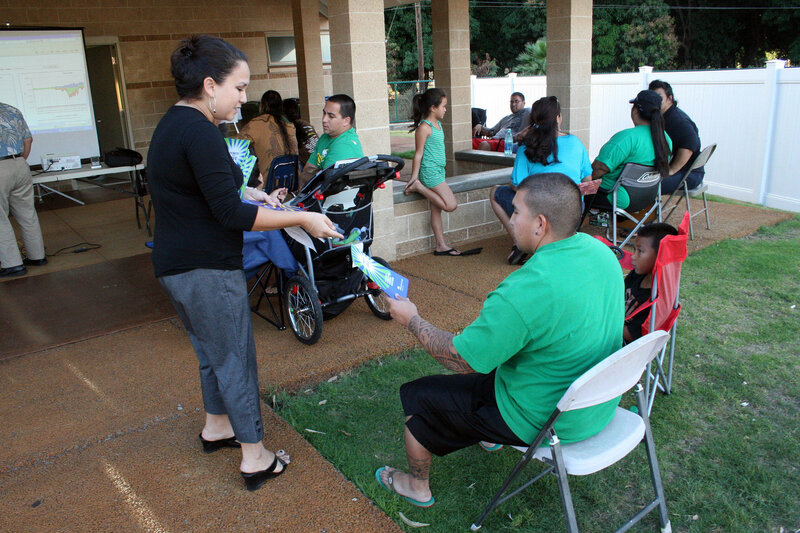 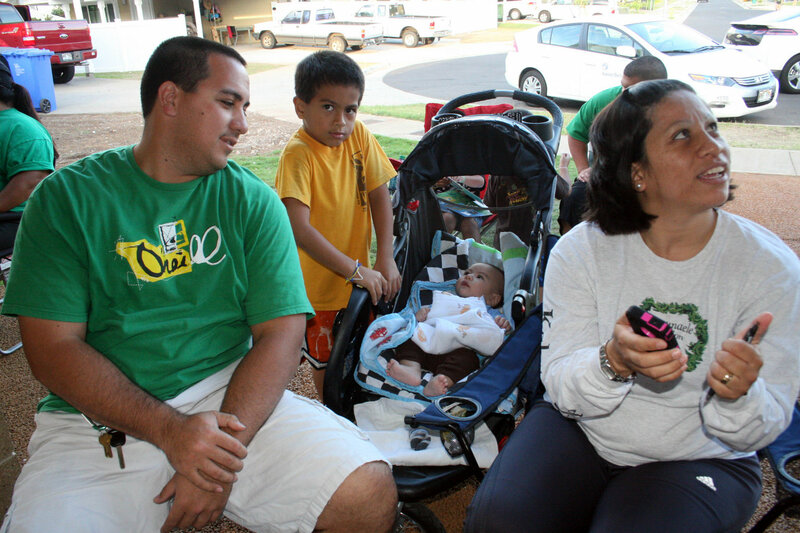 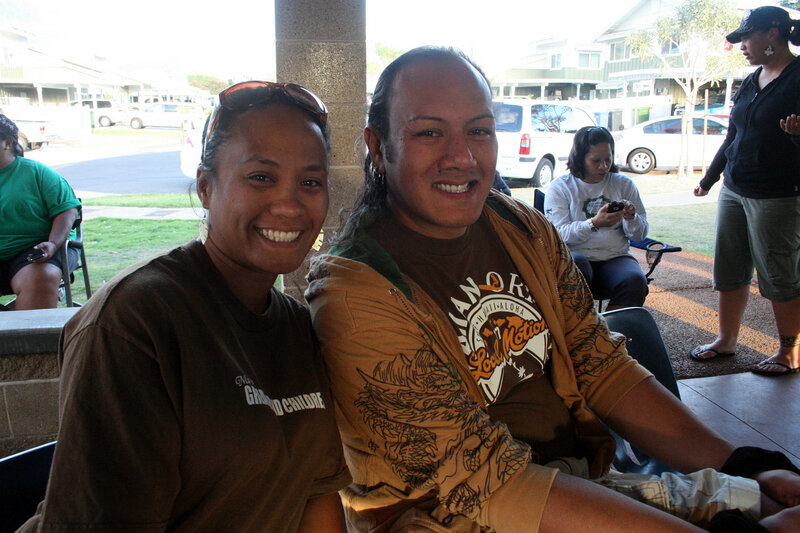 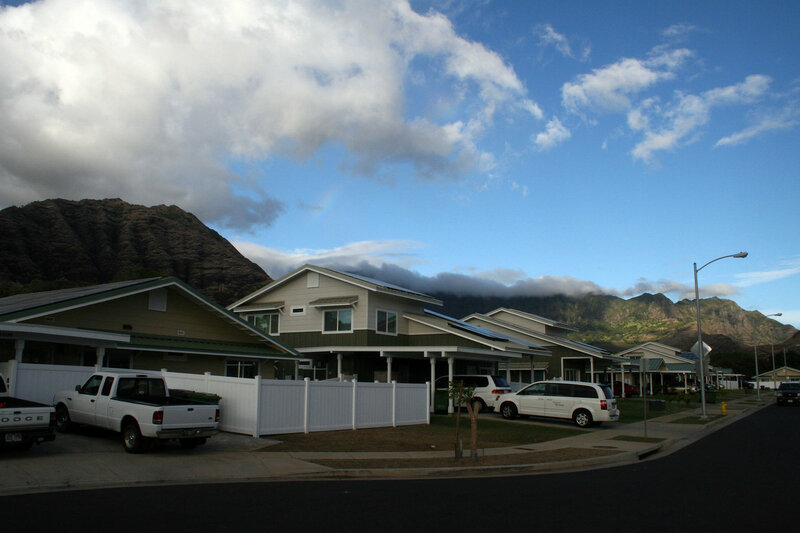 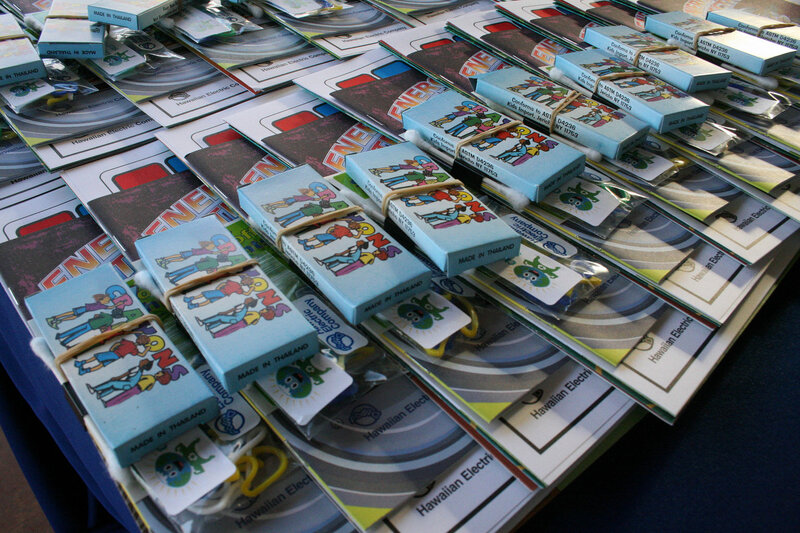 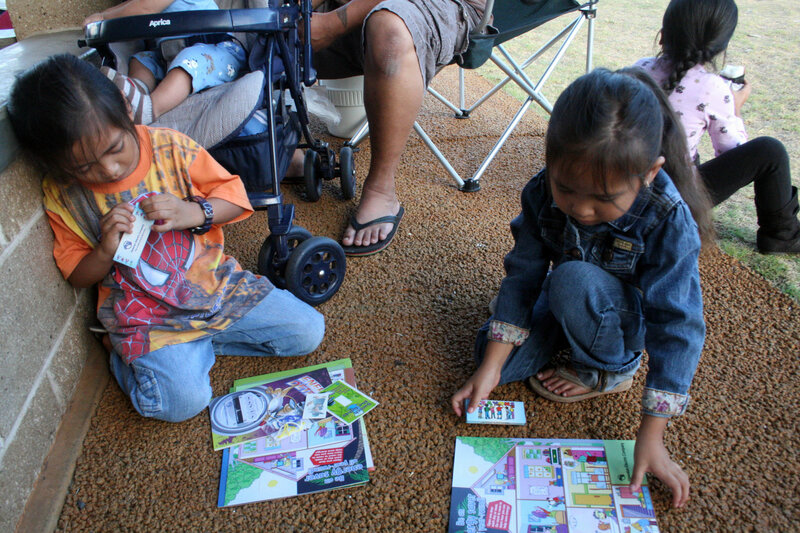 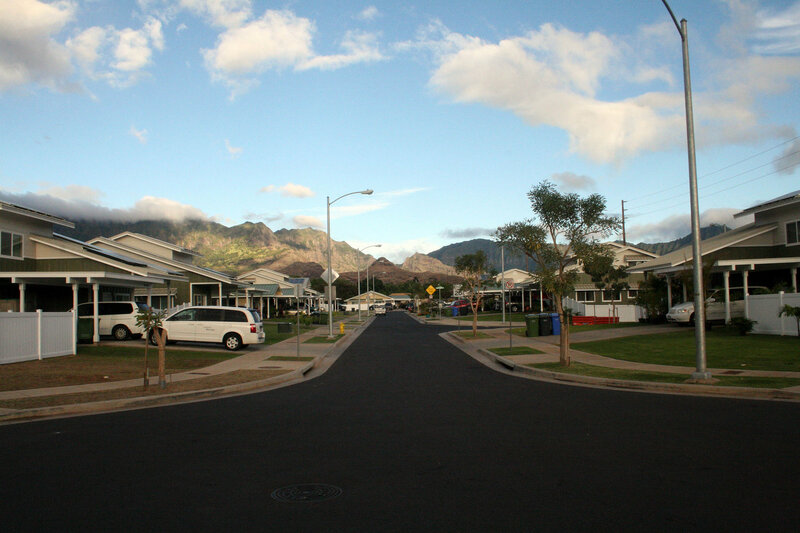 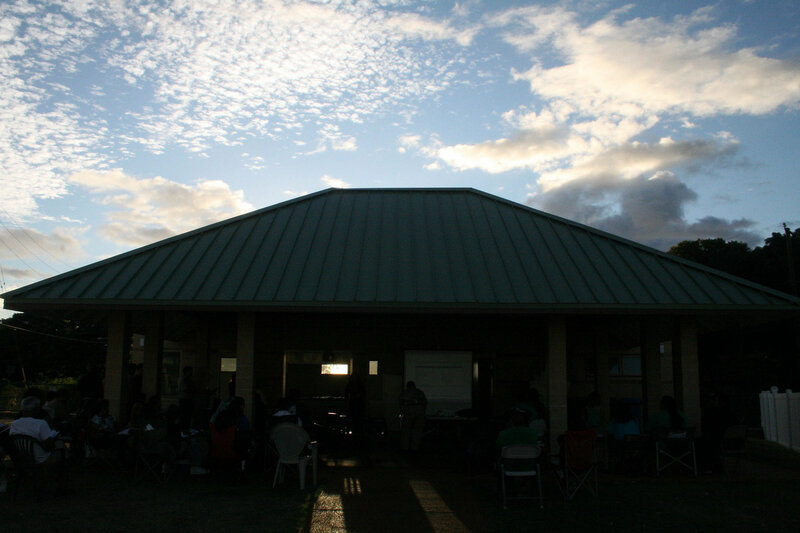 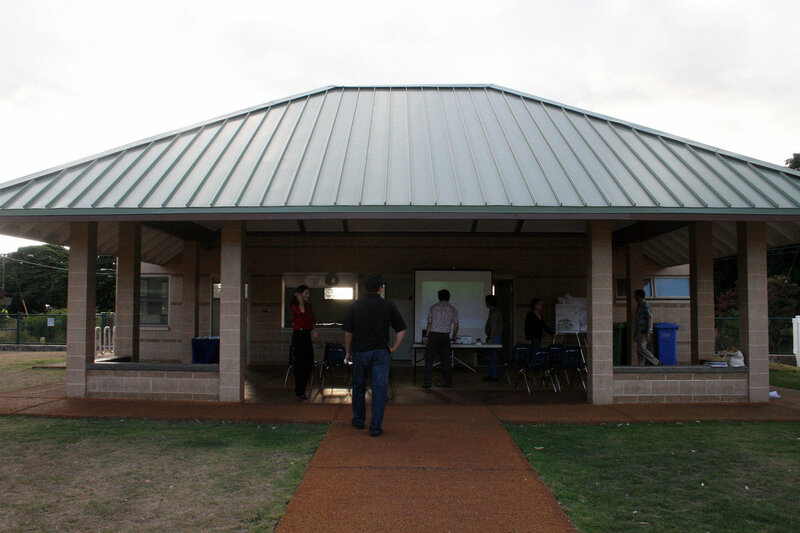 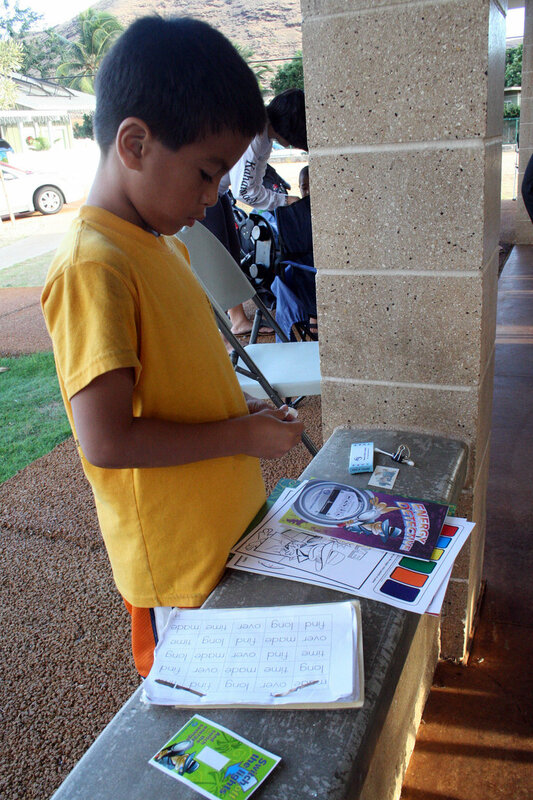 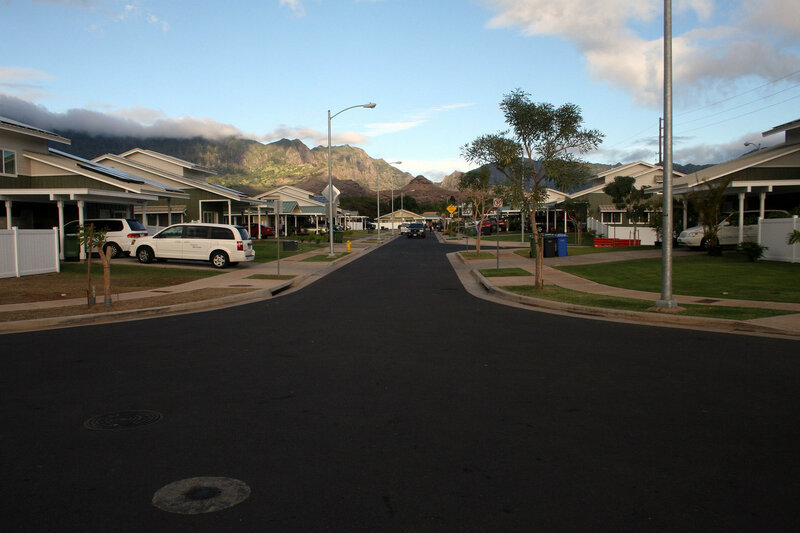 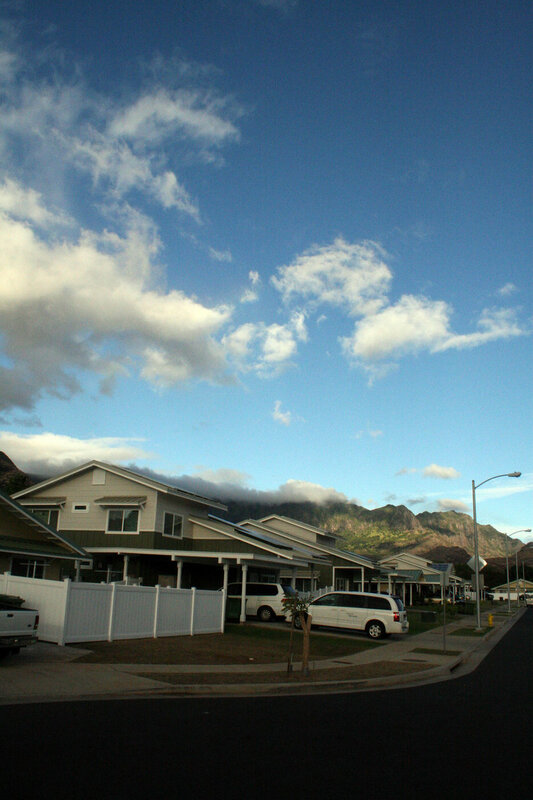 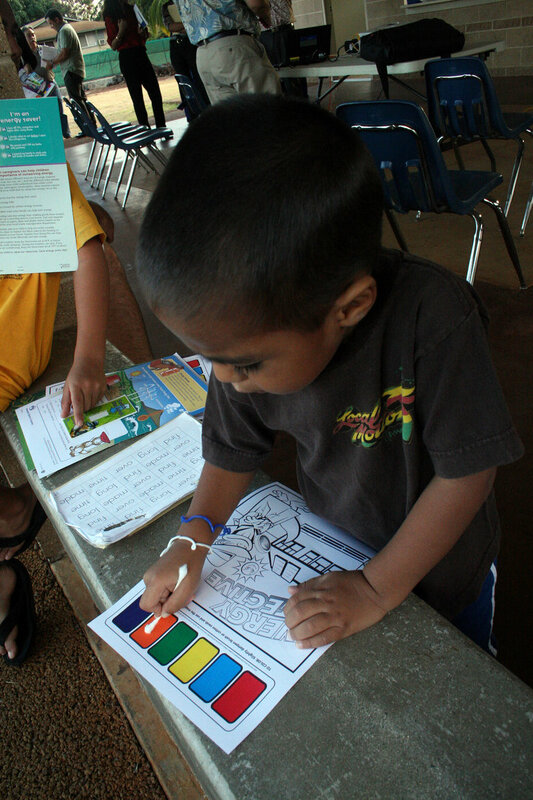 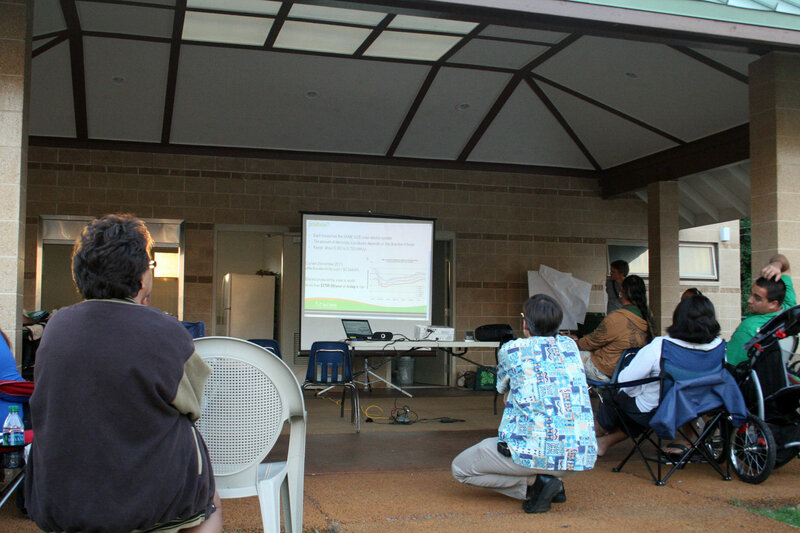 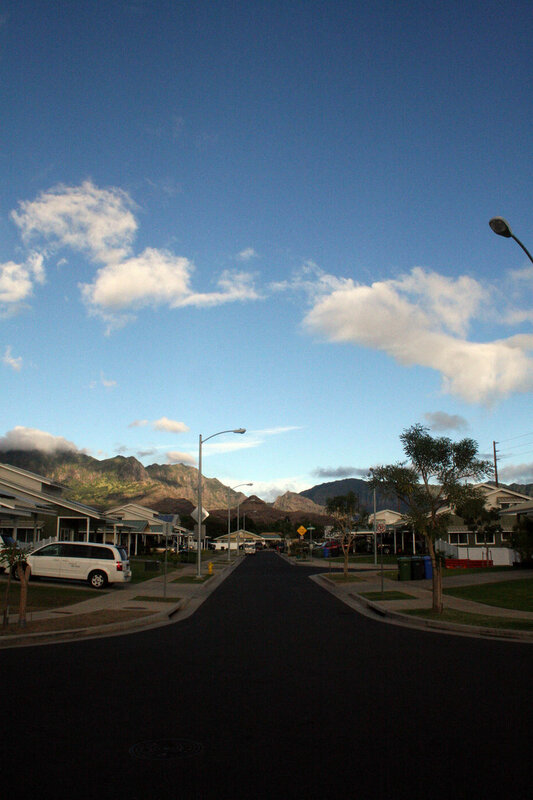 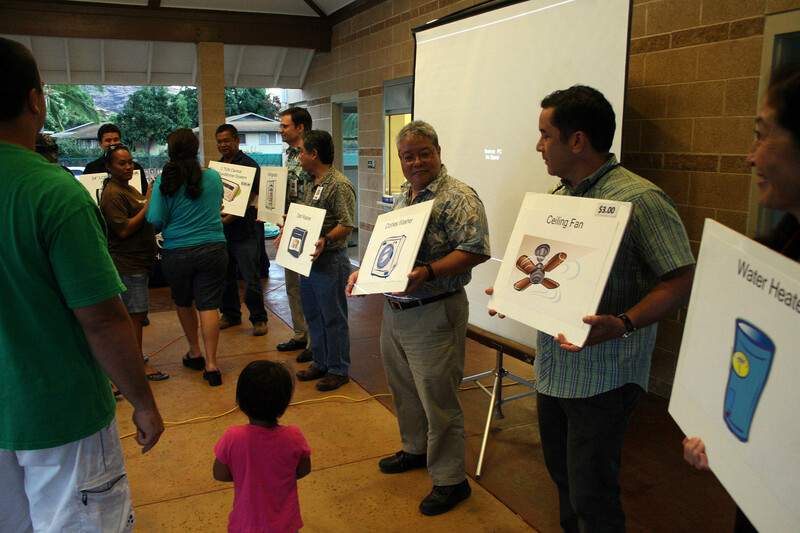 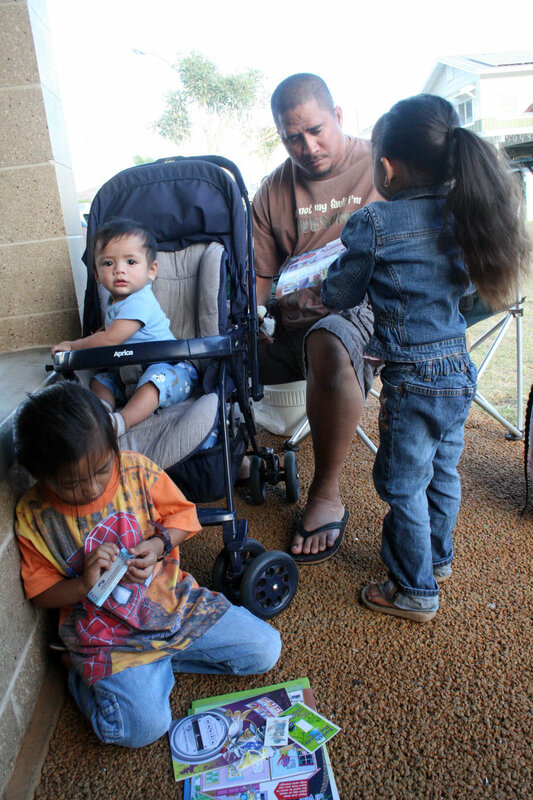 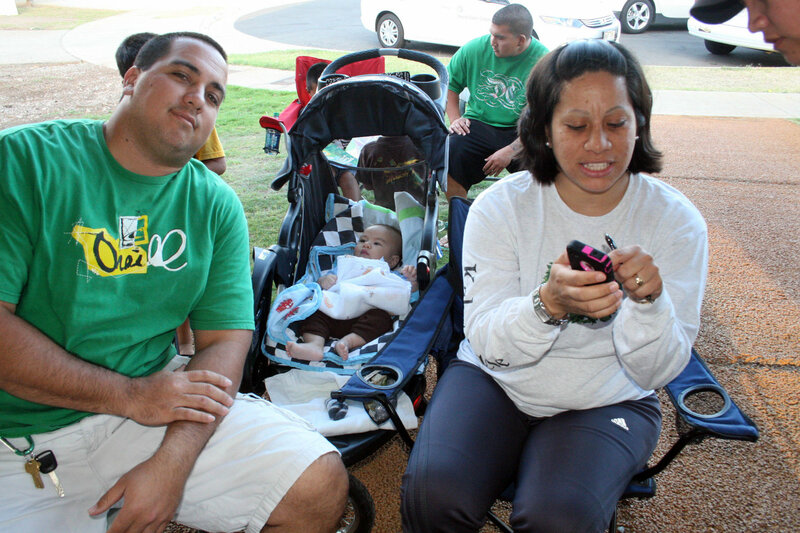 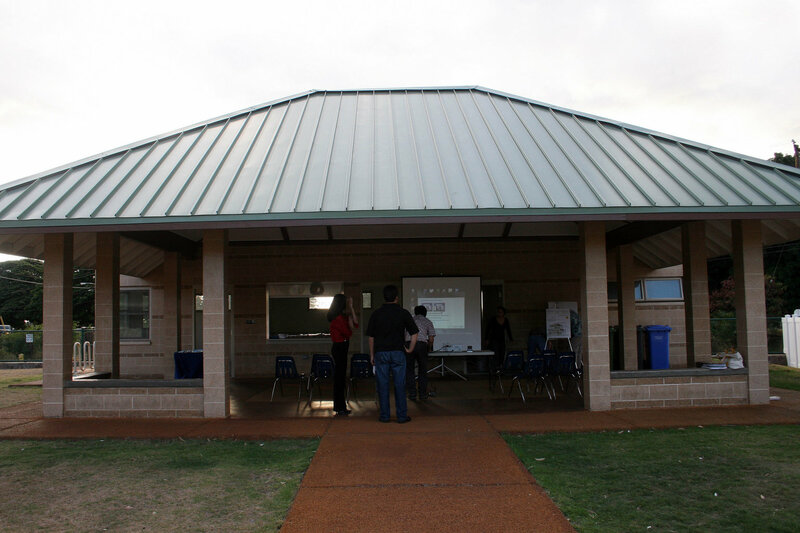 November 29, 2011 — While swarms of homestead kids swirled in and around the end of the Kaupuni cul-de-sac, their parents were gathered at the community center to learn how to get the most out of their super energy-efficient LEED Platinum homes. 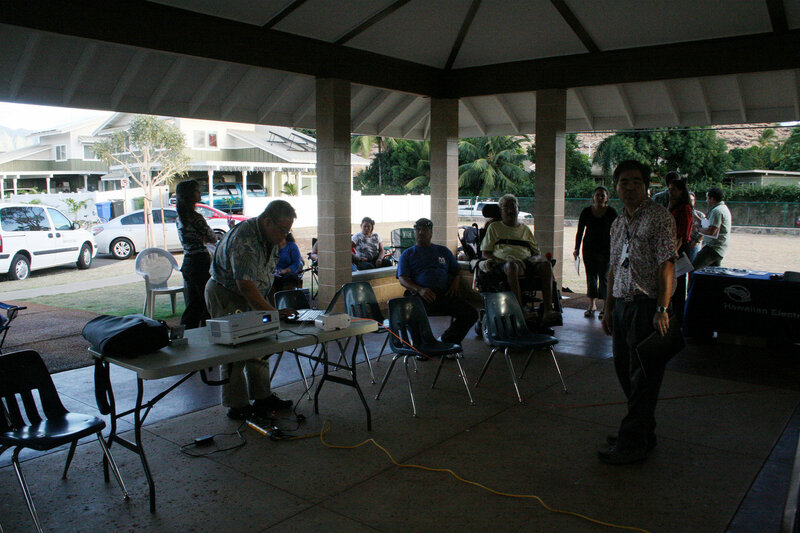 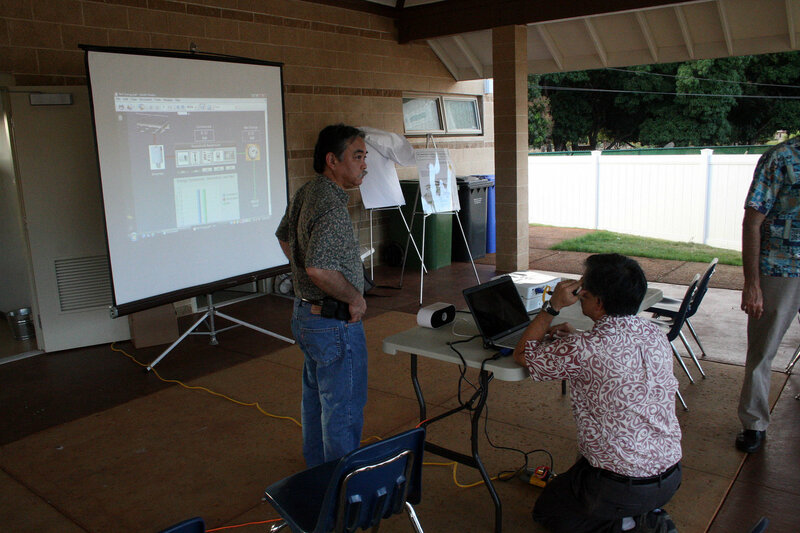 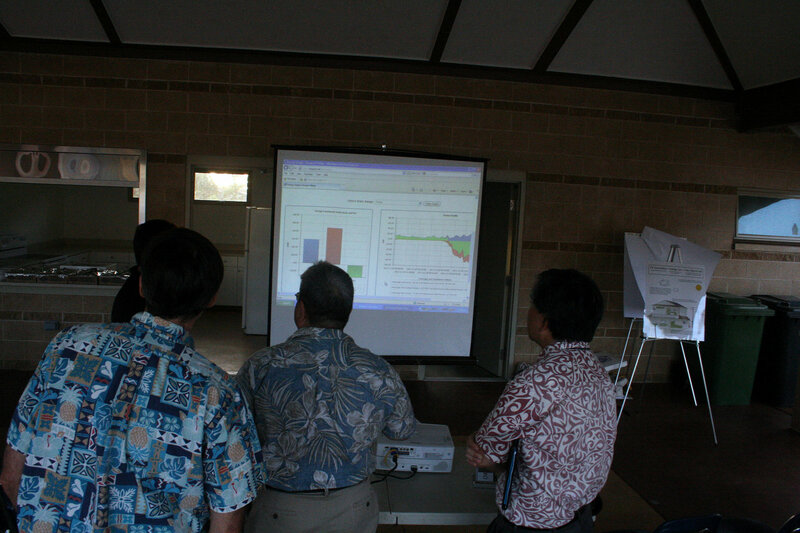 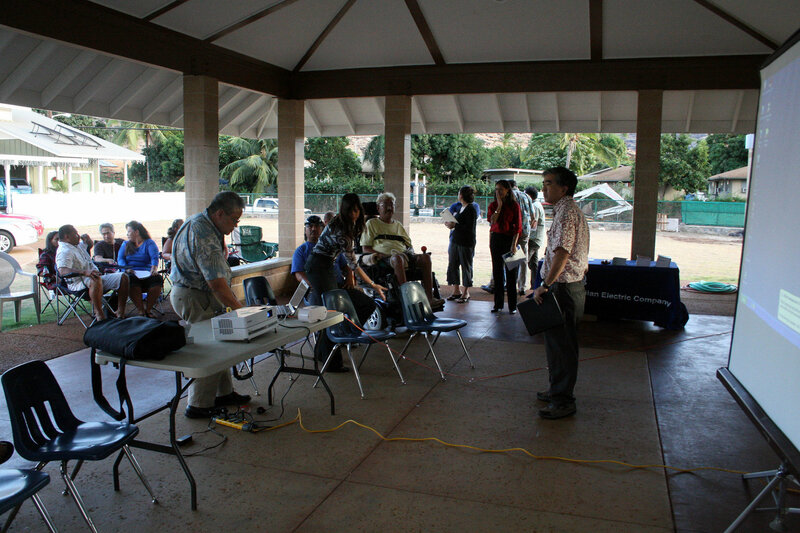 Kimo Kai of Hawaiian Home Lands introduced the assembled energy experts who gave presentations to the group. 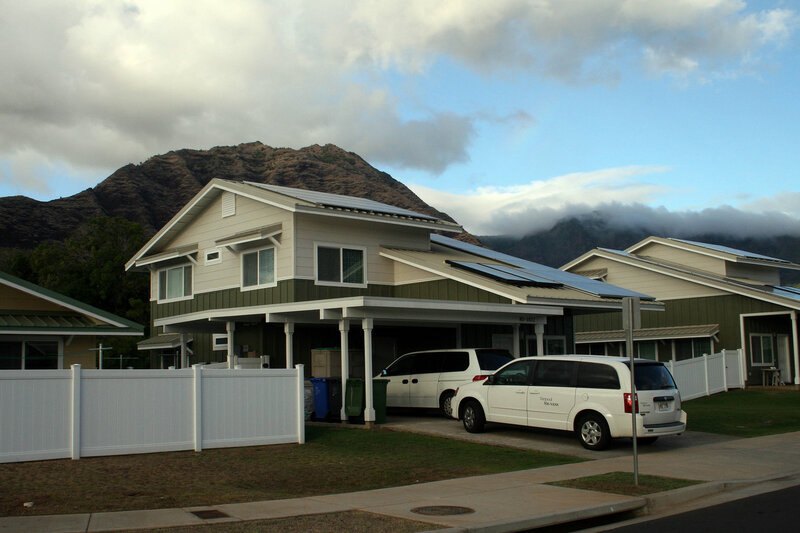 The crew from Hawaiian Electric (HECO) included Kaiulani Silva, Briana Ackerman, Kathy Freitas, Eric Kashiwamura, Paul Fukuda, John Somdecerff, and Mark Yamamoto. 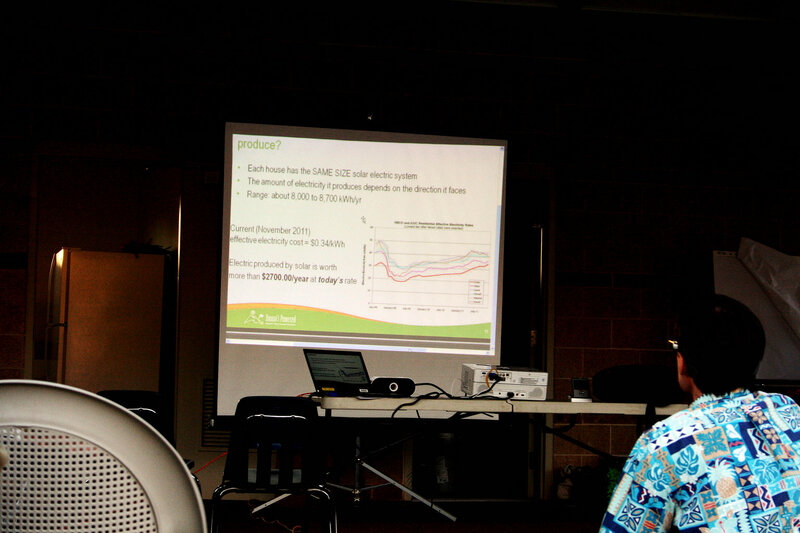 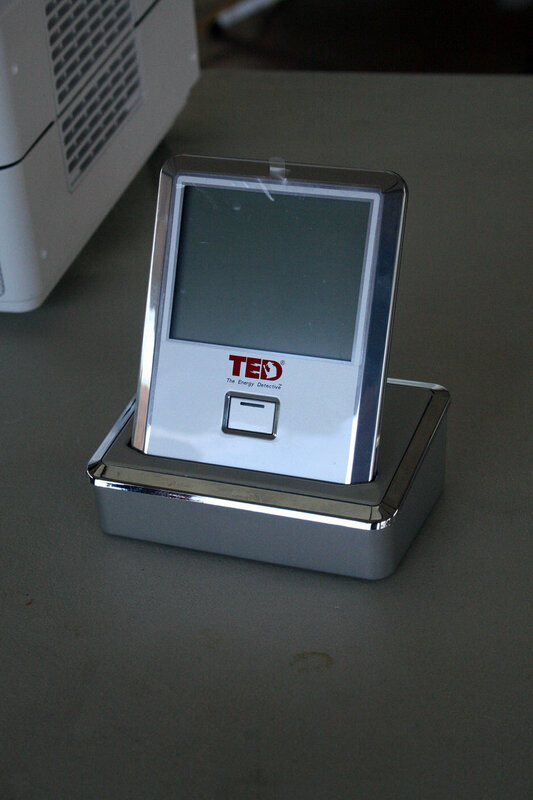 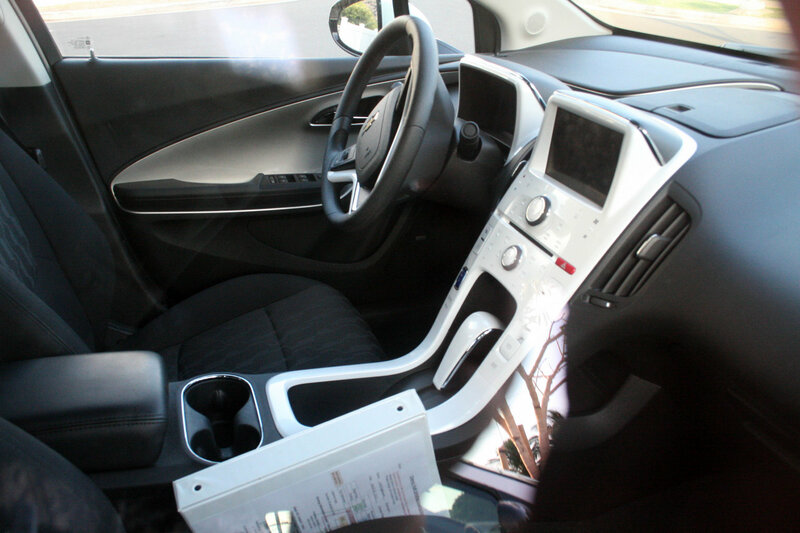 From the National Renewable Energy Laboratory (NREL), Ken Kelly was joined by Paul Norton (who conducted his presentation from Denver, Colorado via via speakerphone and web page hookup). 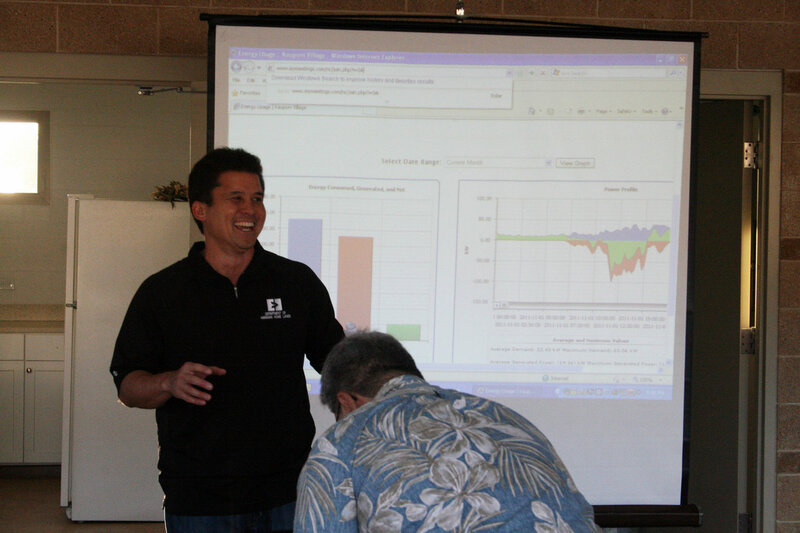 Hunt Builders were represented by Chad Johnston, Marvin Ramirez.